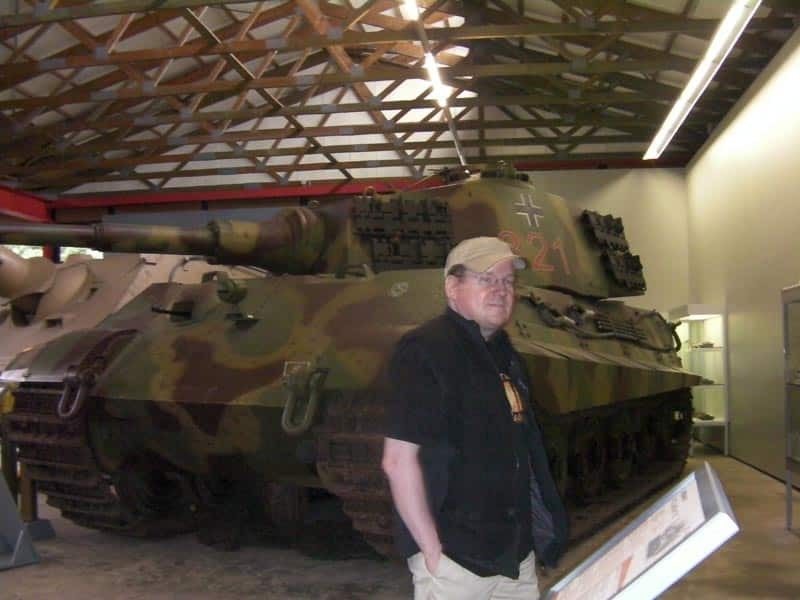 The King Tiger tank in Panzermuseum Munster, Germany. King Tiger with Porsche turret, rear view. No earlier was the Tiger tank being produced than the decision was taken to build a much better equipped as well as armoured model, particularly in order to withstand any kind of tank that the Russians might possibly bring in later on. Once yet again Henschel and Porsche were ordered to create models. Porsche first created a vehicle depending on the earlier VK 4501 pattern and equipped with a 5.9-in gun. This was dropped in preference of a fresh model with a turret-mounted 3.46-in gun, that was rapidly terminated since its electric transmission used a lot of copper, which at this point was in limited supply. By now the turrets were currently in production and these were consequently intended for first production Henschel vehicles. The VK 4503(H) Henschel design was finished in October 1943, somewhat later than expected as a choice was taken to include parts of the planned Panther II tank. 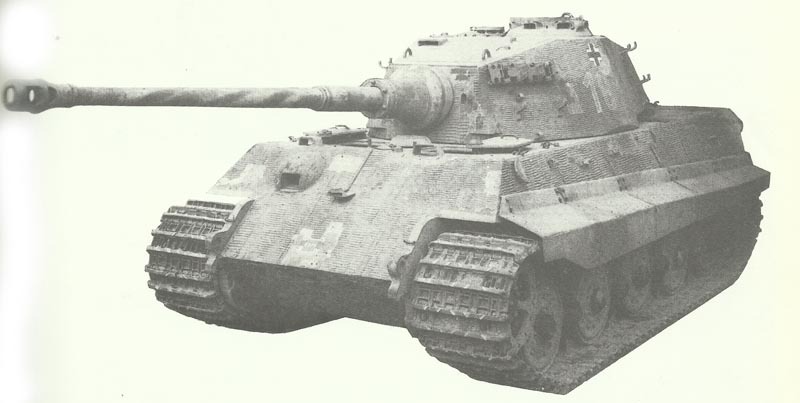 In many aspects the King Tiger was comparable in structure to the Panzer V Panther tank, and it was operated by the same power plant as late production Panthers, resulting in a dramatically reduced power-to-weight ratio, and the vehicle was therefore significantly slower and much less mobile than the Panther. Although its armour offered nearly total protection against all of the guns fitted to Allied vehicles, the King Tiger was not reliable and its size made it hard to maneuver around the battlefield and to hide. Numerous were left behind or demolished by their crews when they ran out of gasoline and no more fuel was at hand. Standard production King Tiger with wide battle tracks and track guards. The hull of the King Tiger was of all-welded structure which has a maximum thickness of 150 mm (5,9 in) in the front of the hull. The driver was sitting in front on the left, with the bow machine-gunner and radio operator to his right. The turret was of welded construction with a maximum thickness of 110 mm (Porsche turret) or 180 mm at the front, and accommodated the commander and gunner on the left with the loader on the right. The engine was at the hull rear. Primary armament made up of a long-barrelled 88-mm (3.46-in) KwK 43 gun that could fire armour-piercing and HE ammunition, the previous having a much better muzzle velocity than the equivalent round fired by the Tiger. A 7.92-mm (0.31-in) MG34 was mounted co-axial with the main armament, and another MG34 was fitted in the hull front. Totals of 84 rounds of 88-mm (3.46-in) and 5,850 rounds of 7.92-mm (0.31-in) machine-gun ammunition were held. Side view PzKpfw VI Ausf B production model with Porsche turret. 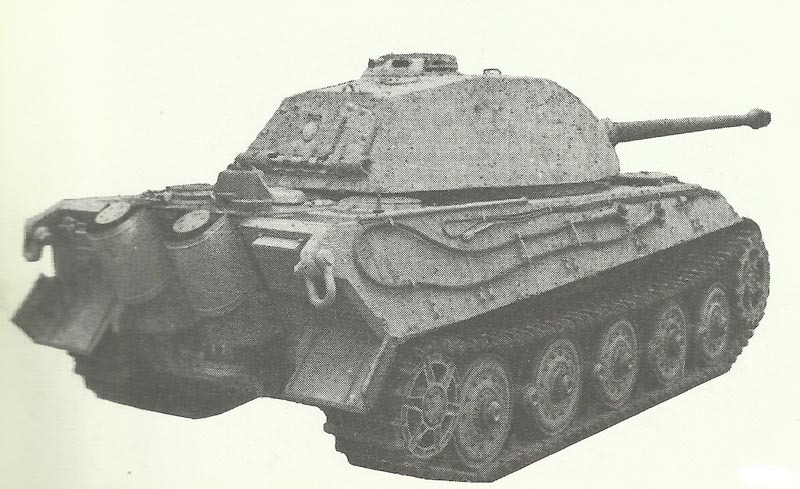 Rear top view of PzKPfw VI Ausf B prototype, with Porsche turret and exhaust system similar to the Tiger I Ausf E.
The Porsche turret on its test rig. Rear view PzKpfw VI Ausf B production model with Porsche turret. PzKpfw VI Ausf B with standard Henschel turret. PzKpfw VI Ausf B prototype, with Porsche turret and exhaust system similar to the Tiger I Ausf E.
Side view King Tiger tank in Panzermuseum Munster, Germany. German tanks in RAC Tank Museum: from right to left a Panzer II, Panzer III and in the background the hughe King Tiger. 3d model King Tiger tank. Tagged 1944, germany, heavy tank.